We spent some time strolling along the Canal St-Martin in the 10th arrondissement today, examining the locks, and waiting to watch the barge traffic come through. Unfortunately, there was absolutely no activity on the Canal. It seemed like the only activity we witnessed was that of a few SDFs (Sans Domicile Fixe – the politically correct term for homeless people) in some of the seedy areas under some of the bridges. 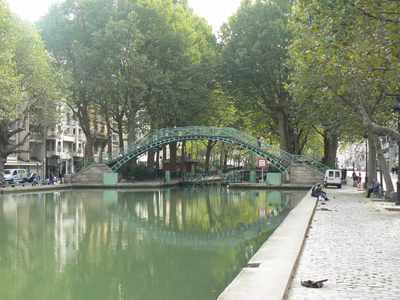 It was Napoleon who first conceived of the Canal St-Martin, which was built in the 1820s for transportation and to provide non-drinking water to the City. It still provides 50% of the water in Paris used for cleaning the streets, sprinkling public parks and gardens, etc. The City is attempting to gentrify this area, which has great potential, but it seems to be a slow process. 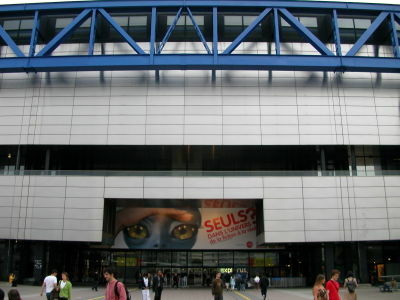 We rode the Metro to the Parc de la Villette for a visit to the Museum of Science & Industry, which we had tried, unsuccessfully, to visit in the past. We enjoyed seeing all the space exhibits and the interactive displays, but I don’t think any of us will be rushing back. It really didn’t compare to other museums of this type that we have visited in other cities. 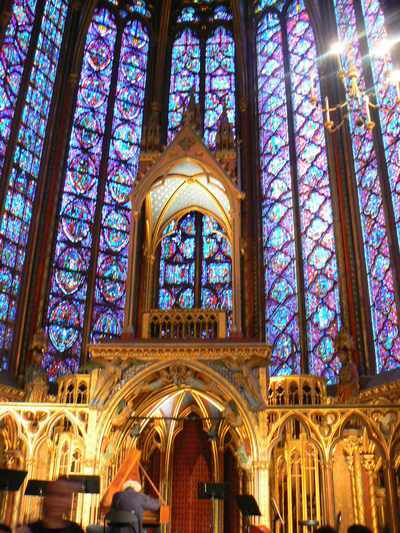 We called ahead for will-call tickets for the 7:00pm concert at La Sainte Chapelle in the 1st (4, boulevard du Palais - tél: 01.43.73.78.41). The setting is so beautiful, surrounded by all the amazing stained glass. The one-hour concert included Vivaldi’s Four Seasons, Geminiani’s La Folia, and Pachelbel’s Canon in D Major. The conductor had so much personality, as he played the violin and bounded from one part of the stage to the other, his ponytail swinging back and forth. We had a 9:30 dinner reservation in the 6th at Roger La Grenouille (26-28, rue des Grands Augustins – tél: 01.56.24.24.34), which seemed to be a very popular place. Although there are other very good menu options, they are known, of course, for their frog’s legs, which are piled high on the plate, so it’s best to go in with a good appetite. I don’t know if tonight was normal, but it was extremely warm inside, so dress in layers that can be removed if you go.